Too many lifters are trapped in isolation exile. Don't let your gains fall prey to your love of curls. 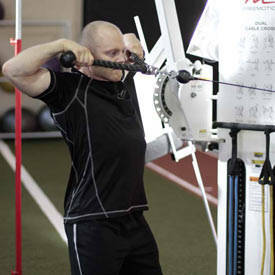 Get in the game with compound movements! Training is a series of choices. You choose what you want to achieve and what's necessary to accomplish your goal. Then you choose to devote a certain amount of your time and energy toward that goal. Simple enough, right? In actuality, there are other choices which have profound impacts on how we train, but which don't get discussed nearly enough. One of the most important is how we choose to view the human body. Is it just a collection of parts called "muscle groups" which must be isolated and attacked one-by-one? Or is it an integrated unit that should be trained and strengthened with the largest overall stimulus? Honestly, you don't need to answer. I'm pretty sure I can tell where you stand on the subject just by taking a look at your program and how you spend your time in the gym. 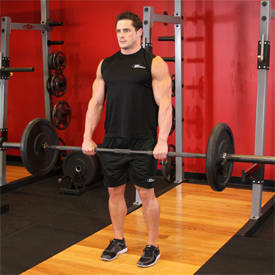 If you log hours upon hours every week stacking up a hodgepodge of exercises, scrambling to hit every muscle from every angle, you're an isolation trainer. 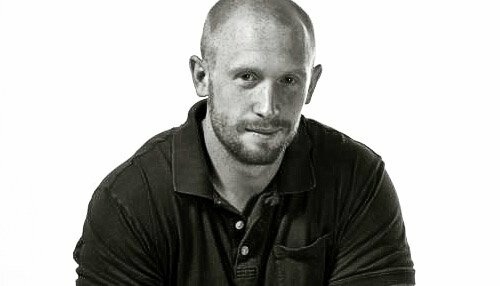 And I'm here to say you should change your ways and embrace compound lifts as much as possible. I know what you're thinking: "But Todd, I want bigger arms. So I'm going to work my arms. Leave me alone." But this mindset doesn't reflect how the human body moves, grows, and is put together. If you want more muscle, stronger muscles, and a more athletic overall physique, compound movements are more effective across the board. Here's why almost everybody should kick isolation to the curb. 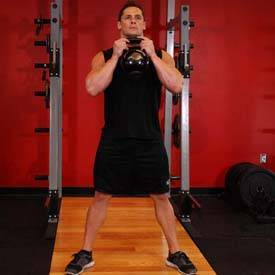 Also called "isolation" movements, these exercises focus on moving a single joint through a range of motion. Examples include: Biceps curls, leg extensions, hamstring curls, and almost anything that happens on a machine. If you perform it because you're trying to "hit" an individual part of a muscle group (the middle delt or the short head of the biceps, for example), it's a single-joint movement. Also called "compound" movements, these exercises require multiple levers and joints to work together in order to move a load. Examples include: Free-weight movements such as squats, deadlifts, barbell rows, barbell and dumbbell presses, and pull-ups. If you're sore or tired in multiple areas and can feel it in your core the day after performing a movement, it's probably a multi-joint movement. Mechanical tension, volume, and calories make muscles grow. It's a reductive explanation, but I prefer it over most other ones because it's incredibly simple and easy to put into action. If you think about building muscle through this frame, it's clear that heavily loaded exercises, which create the most mechanical (muscular) tension, recruit the most muscles. 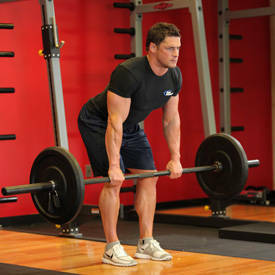 Think about how many joints and muscles are integrated during squats, deadlifts, presses, and rows. There's nothing magical about these movements. 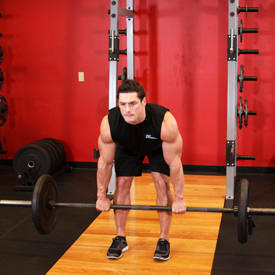 They're simply heavy and difficult, and when you perform them correctly, they create a muscular demand that no single-joint exercise can match. This applies to volume, as well. The amount of single-joint work necessary to match the overall growth stimulus provided by heavy compound movements simply isn't feasible. 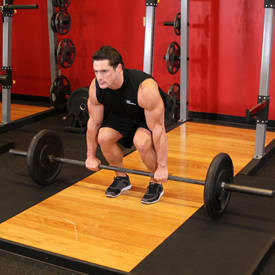 Compound movements are bar-none the most efficient way you can spend your precious time in the weight room. Despite the fact that strength is often symbolized by flexed biceps, strength is more reliant on nerves than muscles. Muscle tissue builds up resiliency against a load when the central nervous system and its peripheral messaging system tell muscles to produce force. In order to train your brain and motor units, you need a powerful stimulus that demands quick response. It's not rocket science. All you have to do is lift fast and heavy. Despite the fact that strength is often symbolized by flexed biceps, strength is more reliant on nerves than muscles. Heavy isn't possible with single-joint exercises. Sure, you can select a weight that makes biceps curls difficult, but it won't challenge the nervous system to nearly the same degree. Biceps curls can build up local tissues and make them more resilient to stress, but the message that travels to your brain won't have an urgent red flag that screams: "This is important!" Thus, you don't get what you need to build real, systemic strength. Body parts don't exist in isolation. Every muscle, joint, tendon, and bone is part of a system that comprises a bigger system. The only reason we define biceps and hamstrings as singular components is because an inquisitive ancient defined their structures while cutting up a cadaver. If we consider the body as one large movement system rather than as isolated parts viewed on an anatomy map, it's easy to understand that muscles and joints don't move in isolation. We move using a complex joint system that runs from head to toe. Unless artificial constraints like pads and cams are used to isolate a joint, genuine movement requires work from multiple joints throughout the body. Single-joint movements are often performed in seated or lying positions that move one joint through a single plane of motion, which simply isn't representative of everyday movement. In athletic environments, we move freely through space without any external means of stability like a bench, a seat, or a Nautilus machine. In my experience, almost all lifters and competitors get bigger and stronger when they abandon single-joint exercises for big lifts. Hold this perspective in the forefront of your mind and ask if it makes more sense to squat or do leg extensions. You know the answer. If you're a competitive bodybuilder and need a more pronounced biceps peak for an upcoming show, sure, you'll find some single-joint work to be useful. But for the rest of us, it's simply not necessary. 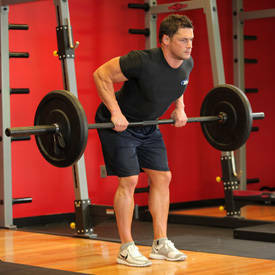 They want to grow a certain muscle group or develop it to improve a bigger lift. Examples of the second point include people who believe that leg extensions will help boost their back squat, or that they'll be able to do more pull-ups if they give their biceps more direct work. The truth, however, is that simply performing a greater volume of compound movements more efficiently achieves these ends. In my experience, almost all lifters and competitors get bigger and stronger when they abandon single-joint exercises for big lifts. Your body doesn't care about your biceps, triceps, or quads. It only feels stress and adapts to what you ask it to do. The stress sweet spot is best stimulated by well-chosen and precisely loaded compound movements. 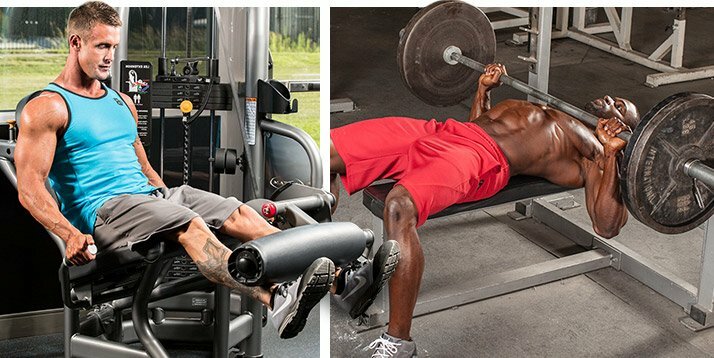 In the name of progress, here are my favorite compound substitutions for popular single-joint exercises. Most pulling exercises pummel the biceps, but pull-ups reign supreme and trump rowing variations. 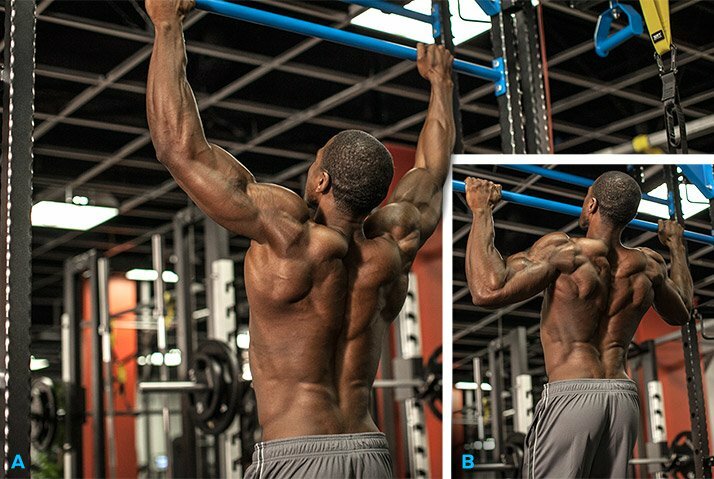 Pull-ups, as explained in an article by Lee Boyce, build bigger arms and a stronger back simultaneously, which is a glorious win-win. 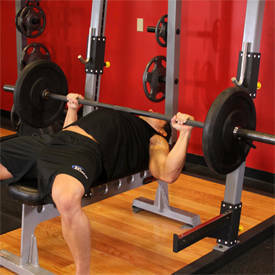 Bench press and overhead presses hammer the deltoids. Rather than jumping from military or bench press into direct delt work, add more sets of presses that plow the delts under heavy loads. 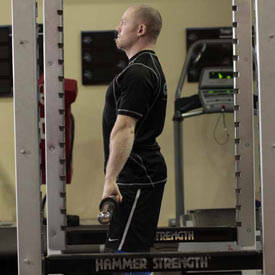 A big, strong posterior chain is necessary for big lifts and potent athleticism. RDLs train the hamstrings to grow strong and massive while standing, which is more applicable to athletic endeavors and everyday movement than sitting or lying and bending the knees. The quads are the lower body's aesthetic princes. 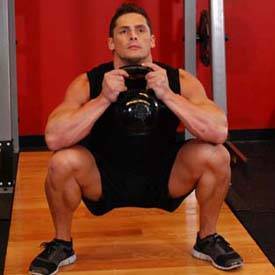 Many folks spend years working to develop them and leave major gains on the table by ignoring front squats. When performed correctly, front squats promote strength and healthy movement, making them far superior to excessive amounts of leg extensions.